There are many words and terms related to roofing as well as different types of Roofing Services. We have created this helpful ledger to help you understand what these terms mean, as well as determine which service is right for you! Roofing is the exterior surface, and it’s supportive structures, located on the top of a home or building. Most structures require roofs, but vary in size and use. The unique characteristics of a Roof will depend upon the structure’s purpose. Mostly a Roof protects the inside of a structure from debris, rain, and other natural elements like wind. It also protects against UV rays and direct sunlight. Roof Repair is the mending of the Roof’s structure or parts, such as shingle repairs, tile repairs, and even repairing poor Roof design.Phoenix Roof Repairs made to shingles and tiles may be due to weather exposure(extreme hot or cold), bad or leaking pipe flashing, chimney or skylight flashing, or inadequate roof pitch or slope. 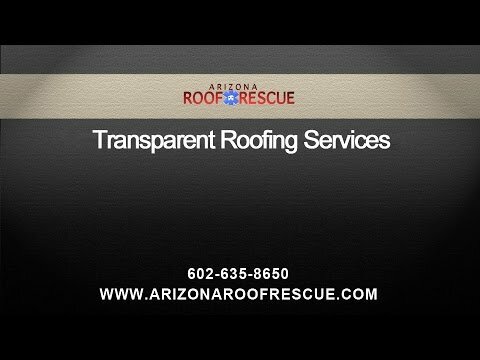 Even with proper maintenance, you will eventually need Roof Repair, so it is important to choose a Roofing Company, like Arizona Roof Rescue, that you can trust to to the Repairs properly and effectively the first time! A Roofing Contractor is a Contractor licensed to build and repair roofs both residential and commercial. Roofing Contractor’s are skilled specifically in Roofing construction and Roofing Repairs. An experienced Glendale Roofing Contractor is important to any roofing build or repair, as they have the education and reference to ensure you a sound, and sturdy roof at an affordable and competitive cost, like Arizona Roof Rescue. Our Roofing Contractor’s provide Roofing Construction and repair services to Phoenix, Mesa, and Glendale, as well as surrounding areas in The Valley! Arizona Residential Roofing actually describes the type of structure, such as single family homes, duplexes, cottages, town homes, etc., as construction using the IRC or International Residential Code. Most of the time these structures are typical houses of all shapes and sizes, in neighborhoods or on the outskirts with larger property. Individually owned homes are always constructed with Arizona Residential Roofing. The term Commercial Roofing is used when talking about repairing or installing a roof on a commercial structure such as a business, building, and other designs that call for “flat” Roofing materials. Mesa Commercial Roofing products are rolled materials or sheets that are adhered to the roofing structure by using tar, asphalt, glue, or heat and all have seems so that they can be securely sealed. Arizona Tile Roofing or Tiles, are a Roofing Material generally made out of clay, that are usually rolled or curved slightly as to promote proper drainage, as well as add a little bit of style and character to your Roof, as there are a large variety of colors, sizes and shapes of Tile Roofing available at Arizona Roof Rescue. Materials such as Tile Roofing are very durable, and can withstand years of the elements and hundreds of pound of pressure, offering your Roof excellent protection, as well as an individual architectural design statement.